Everyone living in an apartment building or even in a house face with this messy problem: pigeons! They are adorable when you see them playing your garden around the flowers, but the mess they make isn’t adorable anymore. 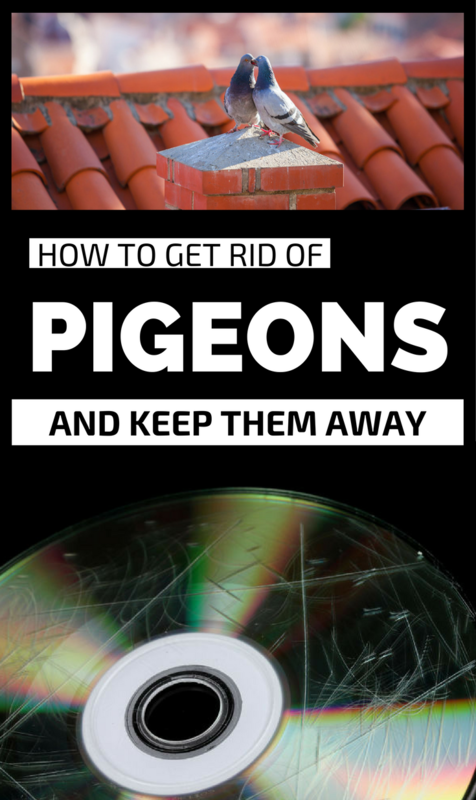 So, if you don’t enjoy the company of pigeons anymore then you can use the following remedies to get rid of them and keep them away. Apply honey on the roof of your house or on the balcony. Pigeons don’t like sticky situations, and this is one solution to keep them away. Put a few CD’s on a string and place it to your balcony or porch. The reflection and movements of these CD’s when the wind blows will scare pigeons. Boil 1 cup of cayenne peppers in water and sprinkle the solutions on your balcony or the area where pigeons appear. Or you can simply apply cayenne pepper powder over these areas and it will definitely keep pigeons away from your home. Place some mirrors or reflective objects on the roof or on the balcony to scare pigeons away. Get a pet, a cat or a dog. This way it will scare them and it will send them far away. Purchase a plastic owl and place on your balcony! Pigeons are afraid of owls, and it’s the cheaper version instead of getting a pet.